Jeff Lloyd will again ride Emphasis who steps up to 1800 metres at Eagle Farm. 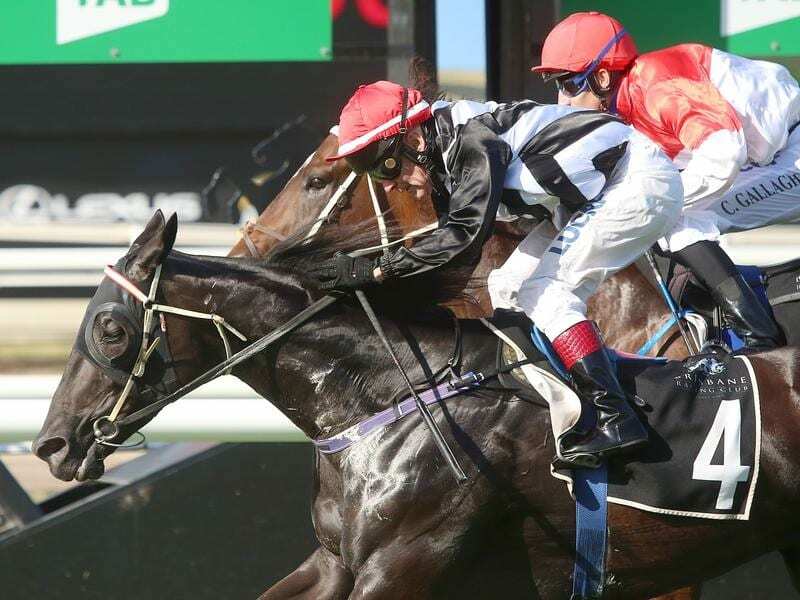 Toowoomba trainer Richie Stephenson believes it is an advantage having premier jockey Jeff Lloyd riding tough gelding Emphasis at Eagle Farm. Lloyd was aboard Emphasis when the six-year-old won an open handicap over 1600m at Eagle Farm two weeks ago. He again has the ride on Saturday as Emphasis steps up to 1800m. The 1800m-races at Eagle Farm are notoriously tricky because of where the start is situated with a short run to the first turn. Stephenson knows the best ride often wins those 1800m-races at Eagle Farm and can’t think of anyone better to have riding for him. “I am always happy to have Jeff riding my horses but from these tricky starts he is an extra bonus especially as we have barrier nine,” Stepehnson said. “Jeff and I go back to when he rode Azzaland into third place in the (2013) Bat Out Of Hell at the Gold Coast for me. “The general (Lloyd) knows exactly what to do. He’ll get the job done. Emphasis is gradually creeping up in the weights and will have 57kg on Saturday. “He isn’t a big horse but often smaller horses can handle big weights and he seems to be one of them,” Stephenson said. Stephenson is looking at the winter carnival with Emphasis and in particular the Toowoomba Cup in early April. “I would love to win the Cup and this could be my chance,” he said. Stephenson has been a regular in the winners’ circle around the south east Queensland regions with horses such as Royal Samurai, Azzaland, Mr. Moore, Gastronome, Oziboy and Blue Sector. “But maybe Emphasis will be the best,” he said.